We’d love your help. 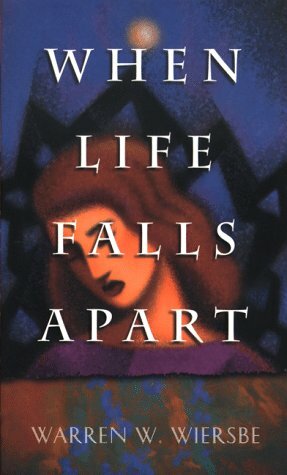 Let us know what’s wrong with this preview of When Life Falls Apart by Warren W. Wiersbe. Wiersbe offers a study of suffering, showing readers that God has a purpose for allowing hardships to occur. To ask other readers questions about When Life Falls Apart, please sign up. This is a great book for anyone going through a trial or tribulation. Warren Wiersbe does a great job of explaining how trials strengthen us and how God can use them. One of my favorite lines from the book is "So, the really big question is not "Why do bad things happen to good people?" but "What is the purpose of life?" Many thought provoking ideas in this book. It really helped me see how you can use a trial for a greater purpose in your life. I found the book very inspiring and helpful. This is a great book for spiritual growth and understanding the purpose for what you may be experiencing.